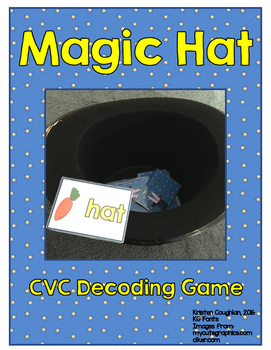 The object of this game is for children to pull bunnies out of the magic hat! 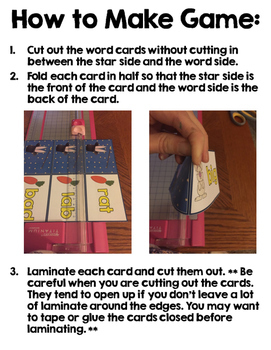 Students take a word card, read it, and use it in a sentence. 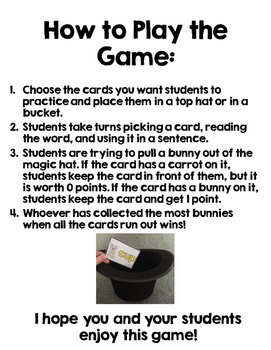 If the card has a carrot on it, they do not get any points. If the card has a bunny on it, they get one point. Whoever has collected the most bunnies at the end of the game wins! 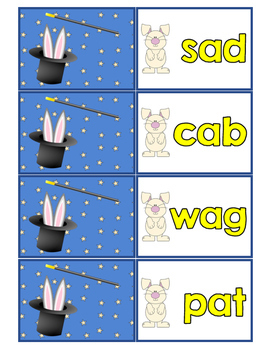 This file contains 20 word cards for each vowel, with a total of 100 word cards.